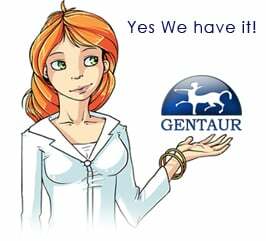 Gentaur antibody-antibodies.com The Marketplace for Antibodies : Role of protein phosphatases in the run down of guinea pig cardiac Cav1.2 Ca2+ channels. Role of protein phosphatases in the run down of guinea pig cardiac Cav1.2 Ca2+ channels. This study aimed to investigate protein phosphatases involved in the run down of Cav1.2 Ca(2+) channels. Single ventricular myocytes obtained from adult guinea pig hearts were used to record Ca(2+) channel currents with the patch-clamp technique. Calmodulin (CaM) and ATP were used to restore channel activity in inside-out patches. Inhibitors of protein phosphatases were applied to investigate the role of phosphatases. The specific protein phosphatase type 1 (PP1) inhibitor (PP1 inhibitor-2) and protein phosphatase type 2A (PP2A) inhibitor (fostriecin) abolished the slow run down of Cav1.2 Ca(2+) channels, which was evident as the time-dependent attenuation of the reversing effect of CaM/ATP on the run down. However, protein phosphatase type 2B (PP2B, calcineurin) inhibitor cyclosporine A together with cyclophilin A had no effect on the channel run down. Furthermore, PP1 inhibitor-2 mainly prolonged the open time constants of the channel, specifically, the slow open time. Fostriecin primarily shortened the slow close time constants. Our data suggest that PP1 and PP2A were involved in the slow phase of Cav1.2 Ca(2+) channel run down. In addition, they exerted different effects on the open-close kinetics of the channel. All above support the view that PP1 and PP2A may dephosphorylate distinct phosphorylation sites on the Cav1.2 Ca(2+) channel.